EXCOR® Pediatric is a mechanical, pulsatile ventricular assist device (VAD), which is especially designed for babies, children and adolcents. The paracorporeal VAD is used for the short to long-term support of the left and/or right ventricular pumping function. EXCOR® Adult is a mechanical, pulsatile ventricular assist device (VAD). 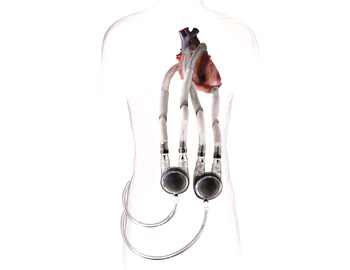 The paracorporeal VAD is used for the short to long-term support of the left and/or right ventricular pumping function. 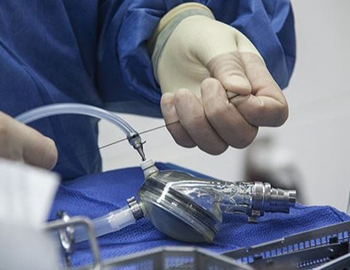 At the Berlin Heart Academy we provide you the fundamentals of therapy with our cardiac support systems and current aspects of the clinical care of patients. We support you individually in establishing your VAD program in your practice. Our Clinical Affairs Team shall advise you in patient selection and the choice of the appropriate VAD system as well as during the implantaion and postoperative for the optimal treatment of your patient. You can find more information about our products on our Download page. Please sign in here.